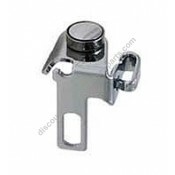 Crank ONLY, does not come with the pitman rod as viewed in schmetic.Fits the following Singer sewing..
5A-W Wheel Driving CrankFits the following Singer sewing machine models 127-12, 128-18, 128-3, 12.. Skirt guard complete. 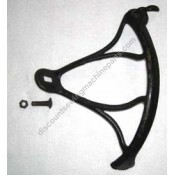 Includes skirt guard #7, shifter with spring and screw. Mounting nut and bolt.. Original back cover plate with lines removed from machines in our inventory, approximately 2 1/4" in.. 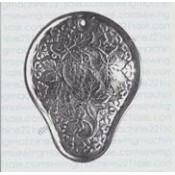 Original kidney shape back cover plate (arm side cover), removed from a machine in our inventory. V.. Cabinet leaf hinge. Fits many cabinets. Measures 3 1/8" long by 1 1/4" wide. 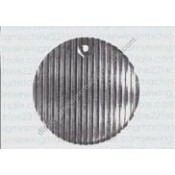 All measurements are a..
Disc hand wheel is a good aftermarket reproduction for 15 class Singers.Alternate Part Numbers1242Fi..
Hand crank is a good aftermarket reproduction and attaches to a spoke wheel (#15282) and mounts to m.. 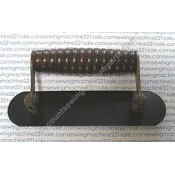 Please see "Singer and Kenmore Mounting Kit #969006", see below for an alternative mounting system. 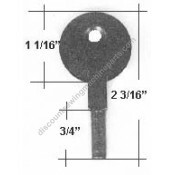 ..
New improved heavy-duty nylon mounting plate (collar) for stitch length dial such as #214471. Fits m.. 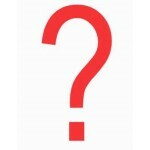 Fits many Kenmore models, 148 series, 158 series and 385 seriesAlternate Part Numbers32111Fits the f.. 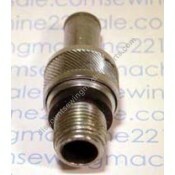 Fits most Kenmore 148 series, 158 series and 385 series. 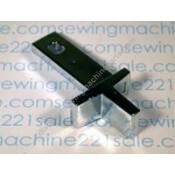 For machines using presser knob #56422 (32.. Magnet ONLY. 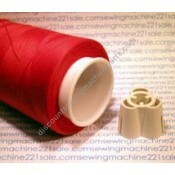 Outside diameter 21mm. 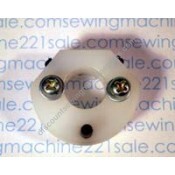 Round ring magnet for bobbin case #627569003 series.Alternate .. 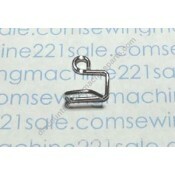 Fits the following Kenmore sewing machine modelsUnkown..
Standard cabinet sewing machine head hinge. 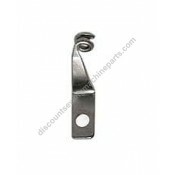 1 1/16" round hole for cabinet, entire hinge length 2 3.. Original old wood handle removed from carrying cases in our inventory, no longer available as new. .. 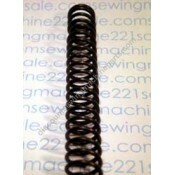 Shuttle driver springAlternate Part Numbers37777, 64654..
For Brother VX and XL series and Singer front loading bobbin systems. Mounts in the back of the nee..
See Also: Kenmore Cabinet Mounting Bolt (original) or Kenmore Carrying Case Mounting Bolt (original)..